Whenever anyone signs up with a new bookmaker, they often look to see what is on offer before deciding to create a new account which means online sportsbooks provide generous bonuses and free bets to entice people to their brand. When you see all the great sports sites and the myriad of bonuses on offer, it can be difficult to see which is the best to go with, but we are here to clarify the finer details and conditions. 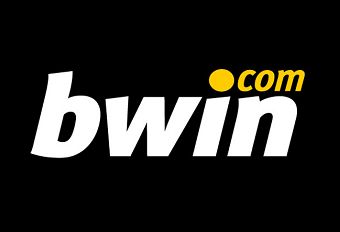 With such a wide coverage of sports betting, Bwin is a bookmaker who is sure to keep you entertained with up to 30,000 bets in 90 different sports to bet on every day and over 2,000 events every month. To enhance your betting, there are a number of different sports promotions that can be used on many sport markets. Bwin have recently launched a new feature which allows their customers to take full control of their bets. Now everyone can cash out at any time, even during the event! Cashing out is a feature that has been recently introduced to sports betting with a number of casinos offering it these days. To cash out, all you have to do is place a bet and if you ever want to minimise your losses then select ‘Cash Out’ next to your betting slip. For live bets you’ll find this in ‘My bets’. There are indicators on eligible bets to show you if the cash out amount is above or below your original stake, so you can make the best decisions when it comes to your betting. New promotions are available every day of the week which offer free bets, boosted winnings and great prizes. If you are a big fan of placing Acca bets, then you can opt in to Acca Madness and win free bets worth over £800 every week. All you have to do in click ‘OPT IN NOW!’ on the Acca Madness promotion page and place an Acca bet with a minimum of 3 selections, £5 stake and odds of 4/1 on any sport market. You win the £5 free bet prizes if you place odds higher than anyone else. If you like competitions with VIP prizes, there is bound to be a draw or tournament you can enter to win big. You could win prizes such as Tickets to Gold Cup Day at the Cheltenham Festival in the Cheltenham Leaderboard, with runner-ups winning cash and free bets. All you have to do is bet on horse racing markets with minimum odds of 4/5 and stake of £2. If you miss out on this great competition, there is sure to be another on the Bwin promotions page very soon. Click on Bwin’s live betting tab to take part in one of the most exciting developments in online sports betting. Follow the green and red markers as the odds rise and fall on bets in football, tennis, basketball and many other sports. If you’re actually at the match, or just out and about while the action is happening, then download Bwin mobile to get live streaming and live alerts on your bets in the palm of your hand. In-play gambling adds an extra thrill to putting down a bet as it takes place during the match, game or race as the odds change. This means you can use the changing information before your eyes to make instant and informed decisions on whether to put down a new bet or cash out an existing one. Like all betting and promotions with online sportsbooks, Bwin’s offers come with terms and conditions which should be read and understood before taking part in any aspect of gambling. This minimises the risk of losing out on a great deal because you missed an item of fine print. With that in mind, there are always a couple of things to consider before opting into a promotion. If your offer or bonus requires you to place a bet to be considered eligible, then it is standard for an online sportsbook to impose minimum odds. At Bwin, they vary from promotion to promotion greatly and are always outlined clearly in the rules. In some promotions, including the welcome free bet, some types of bet are excluded. In the welcome bonus this includes other free bets, cashed out and system bets.